The rapidly changing landscape of the Internet means that online branding of the future will also have to evolve. The Internet has never been more influential for a successful online business than today. Online Branding is a form of online promotion and acts as a visual arrival point for visitors discovering your business for the first time. 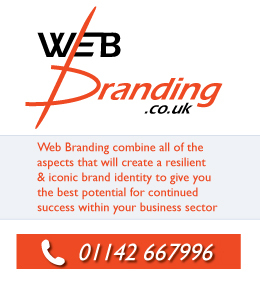 Online Branding includes absolutely everything on the web, that is the property of, or represents your business. This is often referred to a company’s online digital assets. A complete digital asset archive for a business’s online branding campaign would include any of the following web components. For successful and memorable online branding all the digital assets mentioned above must adhere to the same web branding guidelines. Web Branding guidelines will attempt to ensure that the same rules regarding design, colours, fonts, formats, structure and content remain the same across the board. Each digital asset should possess the traits of the defined web branding guidelines to clearly symbolise the businesses’ brand. To make sure of powerful online branding and business recognition, it is advantageous to always ensure that web branding guidelines are a top priority. Wherever an online digital asset if to be found, a customer will instantly be able to mentally link the web branding style to the business in question. This basic rule will ensure a high level of online branding to inspire confidence with your customers. A regimented approach to the online branding guidelines will guarantee an excellent level of business brand recognition. Better brand recognition is great online marketing and a form of free advertising. Online branding shares many similes to Branding of yester year, the firm basics still remain the same: Simplicity, Brand character, a clear Image of values and most importantly a memorable online brand that your customers will hold in high esteem and talk about positively. A high standard of online branding when posting any material online is key. This will always keep your business brand fresh in your potential customers’ minds. The next time someone is asking a friend or a college if they know of a good business within a certain sector, your business brand will be on the tip of their tongue. Online Branding is becoming more important every day. The amount of money being spent on marketing off line is, and has been steadily falling for many years. For more business impact, get the basics of a great online branding campaign together today. Ground breaking, controversial and thought provoking online branding campaigns are coming to the forefront. To get a brand noticed within this climate you’ve got to shout very loud and most importantly have a clever message to kick start the social media conversation.